Imran Khan’s ex-wife Reham has claimed that she had asked the cricketer-turned-politician for a wedding anniversary gift last year but he divorced her instead. Reham, while speaking to Geo news, said she had jokingly mentioned on October 31 last year that she wanted a present ahead of the couple’s wedding anniversary. “He divorced me instead,” she said. Imran had on Sunday reiterated his resolve to shut down Islamabad on November 2 and instructed all party workers throughout the country to reach his residence ahead of the planned lockdown of the capital at any cost. 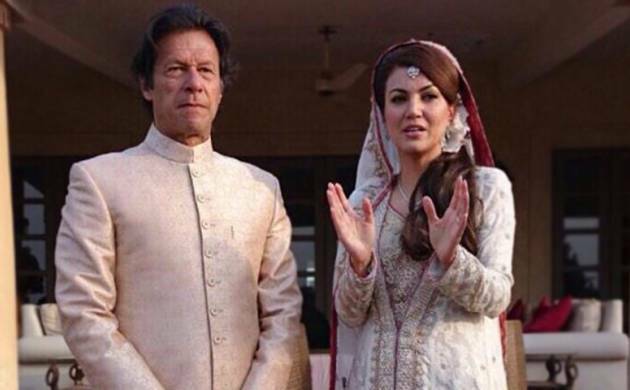 Nearly 10 months after Imran tied the knot with TV journalist Reham, his marriage ended in divorce last year. Imran’s marriage to Reham was his second after his first marriage with English heiress Jemima Goldsmith for nine years ended in divorce in June, 2004. Imran and Jemima have two sons from their marriage. Pakistan Tehreek-i-Insaf (PTI) Chairman Imran and Reham divorced with mutual consent. The Pakistani cricket legend-turned-politician and the TV journalist had announced their decision to split on October 30, about 10 months after their marriage in January, amid reports that Imran objected to her meddling in politics. Amid speculation over the reasons for her divorce with Imran, Reham had said nobody but they themselves were responsible for it. She had lamented that everyone had a say in her married life and she felt the whole of Pakistan was her “sasural”. Writing in the Guardian, Reham had said that even marrying “the strongest man in the land” could not protect her from a “barrage of abuse”.